I’m a bit confused about my next car purchase. I live in rural NSW with my young family, and I’m looking at something like a dual-cab ute. However, I’m worried about leaving work items in the back of a ute tray unsecured, so I would be looking at adding a canopy or a cover. However, I wonder if I should perhaps be looking at something like a Toyota Fortuner or a Mitsubishi Pajero Sport wagon? Can you please explain the difference? Would a ute with a canopy do the same job? There seems to be more choice in utes, especially at the lower end of the price spectrum. 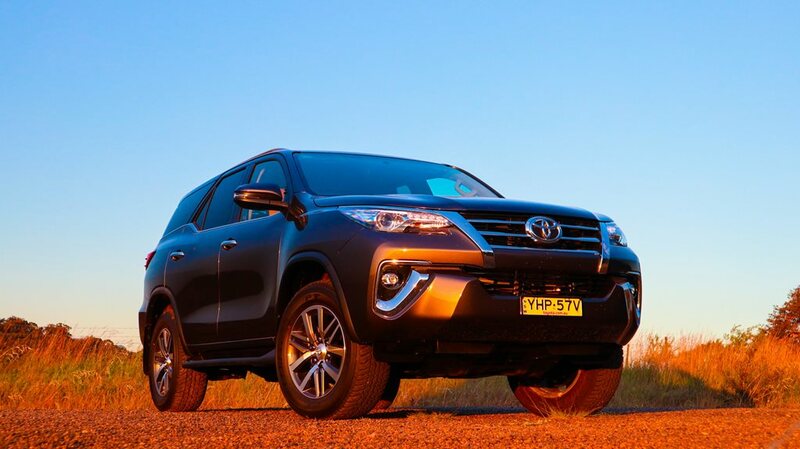 Fundamentally, the only difference between, say, a Toyota HiLux and a Fortuner (or even a Mitsubishi Triton and a Pajero Sport) is the rear suspension layout. The wagons replace the ute’s stiffer leaf spring arrangement with a more passenger car-like coil spring to provide a more pliant, comfortable ride. While exterior design and interior layouts may differ, under the skin they are virtually identical. The two examples listed above, for example, share the same powertrains and 4x4 layouts. Towing rates and payloads (the total weight of cargo you can carry) are a little bit lower with wagons, thanks to their more softly-sprung rear ends. It really depends how you are going to view the car – a work ute that can take the kids around, or a family car that you occasionally use for work? Depending on your work, a ute with a canopy will give you a secure ‘dirty area’ that’s completely sealed off from the passenger compartment, but could be – depending on how good your canopy is – subject to dust and moisture. A roll-top cover for the ute tray is also an option, but many of them actually take away a surprising amount of the tray’s length. A ute will also ride more harshly when it’s not loaded up, which might be an issue on longer drives. A 4x4 wagon is pretty much like a regular station wagon, and offers the added advantage that you can increase the cargo area by dropping the rear seats when required. Because the cargo space isn’t sealed off, though, you may need to install a security screen to keep your work tools from flying through the cabin if things go bad, which does limit the wagon’s usefulness a bit. Adaptable: Toyota Fortuner seven-seater load space. Both cars share the same features, like full-size spare wheels and all-terrain tyres, as well as the same limitations on things like advanced driver aids. In general, a 4x4 wagon rides much more nicely on the open road, which is great on longer trips, and a lot of 4x4 wagons offer things like vents and USB chargers for rear seaters. You can also buy versions with a third row of seats, but they are, as you point out, more expensive. To put it in numbers, if you spend more than 70 percent of your time in town and you don’t have need for a ‘dirty area’, I’d suggest that a 4x4 wagon is a more practical choice. However, if your work life involves lugging bigger, heavier, dirtier tools, then perhaps a dual-cab with a canopy will be a better option.